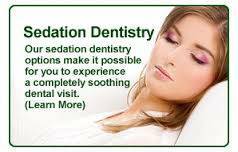 Sedation Dentist – How Does Sedation Dentistry Work? Full Sedation Dentistry and Sedative Dentistry in Rockville MD. Looking for a Local Sedative Dentist / Sleep Dentist? Can you get put to sleep for a Filling? Can Sedation Dentistry be done for a Dental Cleaning? Yes and yes, if Sleep Dentistry is what it takes to be calm during a dental appointment. We offer Full IV Sedation for all dental procedures. We also offer Conscious Oral Sedation. We have many options our Sedative Dentists can use. We will use the sedatives for your dental sedation procedure that will keep you calm and comfortable; offering a wide range of sedation services ranging from light twilight sedatives to full sedation dentistry for any sedation dental service. We have been offering Dental Anesthesiology Service in Rockville, Maryland for over 10 Years. Patients who are calm and comfortable have less post-procedure pain, less swelling, and heal and detoxify faster. When people are scared of the dentist, they experience increased cortisol and adrenaline levels. The hormonal increases cause elevated heart rate, blood pressure, and a general flight or flight response. These systemic challenges can increase the chances of someone having a dental emergency such as a heart attack, stroke, asthma attack, allergic reaction and many other medical problems. Also, a patient who is more comfortable is easier for the dentist to work on and there is a decreased risk for someone to get cut or hurt during a dental procedure. In reality, Sedation Dentistry is likely safer than dentistry without Sedative Drugs. Can Any Dentist do Sedation Dentistry or be a Sedation Dentist? No. Sedation is something that requires special training above being a dentist. A Sedation Dentist needs to be Certified by the Maryland Board for Sedation in order to do Sedation in a Dental Office. 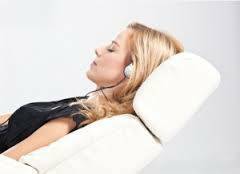 There are different levels of sedation including Mild, Moderate, Deep and General Sedation. Forms of Mild Dental Anesthesia Include NO2 or laughing gas or a single pill dose of something such as Valium. Most Dentists can easily get training for Mild Sedation. All other forms of Sedation are normally done with an IV and require rigorous training in the areas of medicine, anesthesiology, emergency training and patient drug management. Our Dental Sedation Specialists have been certified through a post-doctorate residency program with Dental Anesthesiologists. Our Office has two Sedative Dentists who are licensed through the Maryland State Board to Practice Moderate Sedation in the State of Maryland. As compared to General Sedation performed for procedures such as “open heart surgery,” Moderate Sedation is best classified as Minimal Sedation. Perhaps better stated, if general sedation is 100ft deep, Moderate sedation is maybe 10ft deep. Moderate Sedation is very adequate and safe in a dental office setting. Sedation Dentistry will change your attitude to being positive about going to the Dentist. The sedated procedure is operated with state-of-the-art procedures, instruments and sedative drugs appropriate for sedation in the dental office. IV sedative Drugs can make treatments not just tolerable, but also comfortable and enjoyable. Patients of all ages feel no discomfort whatsoever during and after treatment. During your procedure, your vital signs are monitored very closely. We have two board certified sedative dentists in the office for your Safety. IV Sedation is the method of choice in our office due to its high level of effectiveness and safety. IV Sedative Drugs can be delivered precisely, quickly and accurately through an IV in a dental clinic. The Sedative medicines can also be reversed immediately with the use of other reversal medications at any time. The ability to easily “reverse” sedative drugs is what makes IV sedation so much safer and more precise than Oral Sedation. It is a lot more difficult to reverse the effects of Oral Medication too. 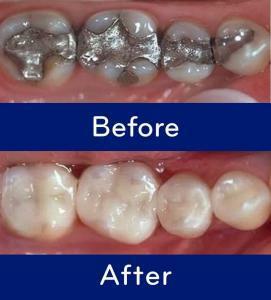 Can Mercury Fillings be Removed Safely during Sedation? Yes. We can perform all Holistic Dentistry Procedures during Sedation. When removing dental infections and toxins from the mouth, it is best to keep the patient calm and comfortable throughout the procedure. If stress and anxiety are present, hormones such as cortisol will be released, causing the patient to fight the procedure rather than using much needed bodily resources to heal and detoxify. IV Sedatives allow a procedure to go more quickly and smoothly and with less stress. IV Sedation patients report faster healing times, less pain and swelling after sedation dental appointments. Sedation is not only helpful for long Holistic Dental procedures but encouraged and recommended. Who Is A Candidate For Sedative Sleep Dentistry? are embarrassed about their teeth. You will receive just the right amount of sedatives so that you’ll be completely unaware of the treatment as if you were asleep. Some patients feel like they were put to sleep. At the end of the treatment, you’ll have little or no memory of your visit. Will I be groggy after my Sedation treatment is over? Yes, but you will feel just fine. For your safety, we do require that you have a family member or friend drive you home. You should also not make any big decisions or legal decisions for 24 hours after the procedure. Who is a candidate for Sleep Dentistry? It’s a fact of life that some people are afraid of going to the Dentist. We know and we understand. But it’s also the case that skipping those regular visits to the Dentist can cause far greater tooth problems later on. For such patients, Sedation is often a great option. In the past, Sedation was only available for Dental Surgery, but in our office, it is available for all procedures. Sedation isn’t just for people who are ‘afraid’ of the dentist, however. Many of our patients are busy professionals and parents. Sedation is an increasingly popular option for people who need work done, but who don’t want to chop up their busy schedules to get done large amounts of overdue dental treatment. Sedation Dentists say they are able to get four times as much work done for patients who are Sedated and in half the time. Sedation is ideal for patients who have extensive dental needs where several dental procedures normally requiring several dental appointments can be done in one appointment. Sedation is also great for severe Dental Fear and Anxiety, patients with strong gag reflexes and people who have difficulty getting numb. Can any Dentist Administer Sedative Drugs? No. In the state of Maryland, as in most states, Sedation Dentists must meet stringent criteria mandated by the State’s Board of Dental Examiners. Most Dentists Certified for IV Sedation Dentistry are Dental Surgeons. Dentists who wish to perform Sedation Dentistry must first pass a special residency program in which they work closely with dental anesthesiologists. The Dentist must also pass a rigorous Oral Exam and inspection of his/her office for IV Sedation. Does insurance pay for sedation? Insurance will cover Dental Procedures under sedation the same as if the patient were not sedated. Our patients sometimes find that the time saved in coming to our office once, instead of coming for multiple visits, makes the extra cost worth it. Oral Sedation is great for patients who desire a lower dose of Dental Sedation. Typically, patients who take oral sedatives will become drowsy but will stay awake. Your dentist may give you medication to take about an hour before the procedure. IV Dental Sedation is much quicker, as it is administered through a vein. This allows the Sedation Dentist to more completely control the level of Sedation. The effects of IV Sedatives can also be quickly and easily reversed. Patients who choose Sedation also typically receive the same local anesthetic they would receive otherwise. Our patients report that being sedated can make a three-hour procedure seem as if it took just five minutes. Most patients will not remember the procedure. With either type of Dental Sedation, we do ask that patients receive a ride to and from their appointment. Does Sedation at the Dentist Hurt? No. You will be Sedated and you will likely remember very little of the experience. 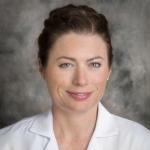 Natural Dentist Associates in one of just a few Sedation Dentists in Maryland. We hope to see you soon.